Mishal Raheja finalised as the new lead in Star Plus' Saraswatichandra? Actor Mishal Raheja will be seen as the new lead in Star Plus' Saraswatichandra. Talented actor Mishal Raheja who rose to fame with Laagi Tujhse Lagan on Colors and then later seen in Sony TV's episodic series Encounter will be seen making a comeback on the small screen soon. Yes you all heard it right! The actor who was on a sabbatical after his show Laagi... ended took a step forward and made his Bollywood debut. While he has tasted the success of making it big on the silver screen, he will be seen coming back to his base TV. Mishal has been approached to play the new lead in Sphere Origins' popular show Saraswatichandra on Star Plus. As we have reported earlier that Saraswatichandra (Gautam Rode) will die and his character will end in the show, the makers have thought of introducing a new lead character. There have been many names doing the rounds for quite sometime now as to who will play the new lead in the show. There were reports that the lead's character will be played by Kumud aka Jennifer Singh Grover's real life husband Karan Singh Grover or heartthrob actor Vivian Dsena who is currently seen in Madhubala - Ek Ishq Ek Junoon on Colors. Now the name which has been blocked by the makers is Mishal Raheja. 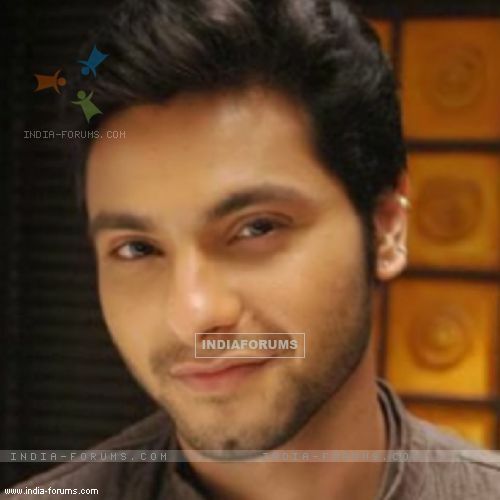 Our sources say, "Yes, Mishal Raheja has been approached for the new lead role in the show." We tried contacting Mishal but he remained unavailable for any comments. Madhu and Raja to re-marry in Colors' Madhubala - Ek Ishq Ek Junoon! After their re-marriage in the upcoming sequence, Raja will change his behavior and starts living like a common man for Madhu in Madhubala - Ek Ishq Ek Junoon. Nautanki Films' popular show Madhubala - Ek Ishq Ek Junoon is all set to come up with an interesting sequence. The audience has been waiting for long to watch a major twist in the show and here the makers are up with its twist. So get ready to see some drama in the show. In the upcoming episode Raja (Vivian Dsena) and Madhu ( Drashti Dhami) will re-marry and this happens during Falguni's marriage. Tauji urges that he wants to see Raja and Madhu's marriage because he didn't get that opportunity to witness the marriage and he wants to see them marrying again with all the rituals. Hence they both end up marrying again with all the rituals. Our source says, "In the upcoming episode you will see Madhu and RK starting their life in a new way. Raja will no more stay like a king because he is leaving his luxurious life aside and will start living like a common man. Raja decides to reside in a chawl with Madhu where they come across many problems. Raja has completely changed his personality for Madhu he even goes for shopping vegetables in the market, Raja who used to be a spendthrift but now he has started bargaining for buying vegetables and this drastic change which can be seen in him is only because of Madhu." We hope this change brings happiness in their life and it lasts for long. The very diligent and stunning Drashti Dhami can very well match up to Scarlet Johansson, who played Natasha Romanoff aka Black Widow, in a complete desi mode. Well even though you can relate her to one of the usual family sitcoms, you may never know she may turn out to stun the audience. Drashti may not even mind, after all the Hulk too is a part of the avengers (wink wink). Vivian Dsena may have to start taking lessons on archery since the character of Clint Barton aka Hawkeye is a master at archery. Well imagine Vivian as a part of S.H.I.E.L.D shooting out arrows. He certainly would be lucky enough to have Drashti again as the Black Widow. It's a proud moment for us to be part of the television industry at the same time that Mr Bachchan is making his debut. He's a living legend and trendsetter with KBC. At the end of the day, the entertainment industry is one big family. I don't watch too much television, but will catch his show for sure. He is setting a great example for us by making a new start at this age. Madhubala: Agni tries to burn RK and Madhu alive, but Leela dissuades her . Dauji imtends to give his property to RK, which is opposed by Agni. But RK, wants to move to another place and earn an honest living. Glorious 6 years of the channel Colors! I did one show with Colors that is Madhubala. I was finalized by the channel itself for the role of Radha. I am very grateful and happy to be associated with Colors. It's a commendable that Colors has presented unique shows in front of audiences which have not only been appreciated by them but also by the eminent actors. I wish and hope that Colors apne rang yuhi bekherta rahe and gets more and more success in the future.